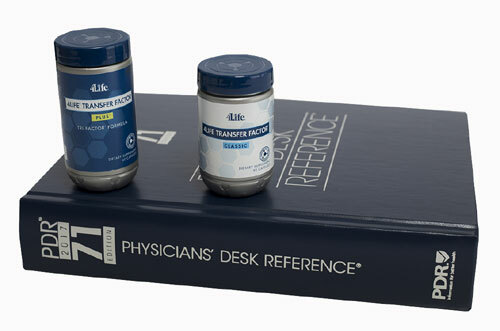 For the 13th year, 4Life Transfer Factor® products appear in the Physicians’ Desk Reference (PDR). The 2017 edition is a reference tool for healthcare professionals and includes in-depth product information about the 4Life Transfer Factor® Tri-Factor® Formula product line. 4Life reinforces its commitment to 4Life Transfer Factor science with four U.S. patents and 32 international patents, an in-house Research and Development team, and the scientific contributions of the Health Sciences Advisory Board. 4Life has offices on five continents to serve a global network of independent distributors through science, success, and service. To order your transfer factor products Click Here. Dr Bennett is an Infectious Disease Microbiologist and Immunologist with 21 years of experience working for the University of California where he specialized in food and water quality and safety. Dr McCausland plays a key role in developing 4Life’s innovative health supplements and researching their effectiveness. During his career, he has developed over 500 supplements of which several billion dollars-worth have been sold. Dr Townsend has more than 32 years of distinguished experience in the medical field. He has also the author of the book “A Maverick of Medicine speaks to Women”. Dr Robertson is a former Emergency Room Physician who partnered his future with this company because of his excitement about transfer factor.